I’m using these switches to control the outside lights in the front of my house. One is in the garage to control the lights outside the garage door, and one is by the front door to control the porch light. They work quite well. 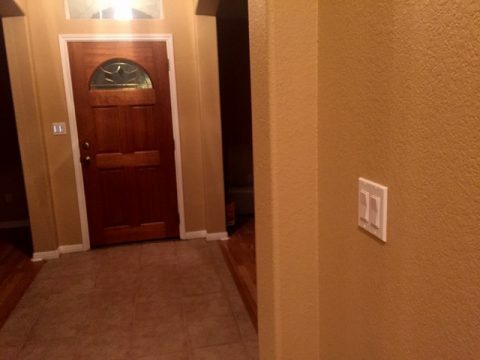 Installation is no more difficult than a standard light switch, presuming that you have a full-depth wall box. 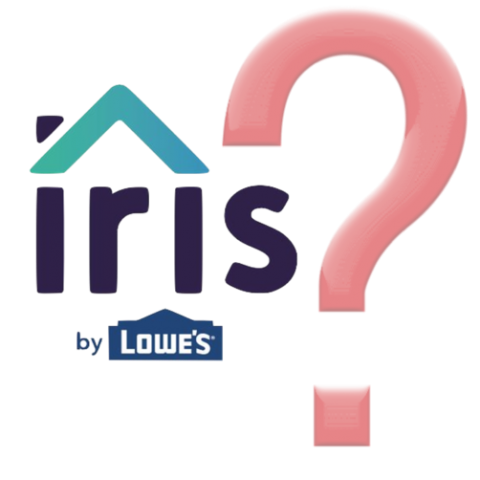 The biggest drawback is the lack of Instant Status support. 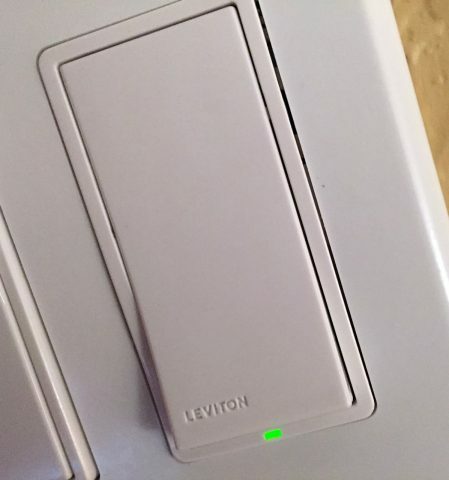 If you’re triggering an automation when one of these is switched on or off, there can be a significant delay; this is because the hub has to poll the switch periodically for status, and that takes time. I’m fairly satisfied with them overall, but I’ll probably replace the one by the front porch. Instant Status matters for that switch, and if I can find a quieter one, so much the better. I’m not a fan of relay noise. Only has one push point. Push the same spot for on and off. 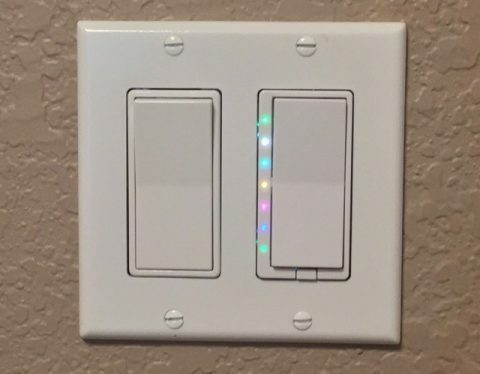 This is in contrast to switches that have an “on” side and an “off” side, which is more in keeping with standard wall switches. The mechanical relay is surprisingly loud. I prefer a much quieter mechanism. Doesn’t support Instant Status. The switch must be polled by the hub in order to detect manual actuations, which can result in significant delays when an automation is triggered by the switch.